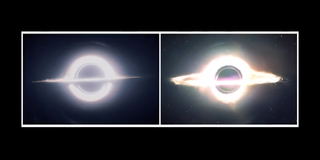 The black hole from Interstellar is the product of millions of dollars of movie magic, but maybe it didn't have to be. DIY effects extraordinaire Joey Shanks of Shanks FX made a pretty good poor man's version with just some sparkers and Photoshop. Spoilers, sort of. The step-by-step process of shooting all the different layers by rigging up some pretty sophisticated shots of light and fire is a little involved, but the end result is actually pretty damn close to the real thing. So if you've ever wondered if you could create a black hole in your garage, this is proof that you can. Kind of.